Back in May a virtual Who’s Who of conservative movement leaders, led by CHQ Chairman Richard A. Viguerie, came together to urge Rep. Jim Jordan (OH-4), the former Chairman of the House Freedom Caucus, to run for Speaker of the House. Yesterday, Rep. Jordan made it official; he’s running for Speaker of the House. And Mr. Viguerie is not the only conservative leader to believe Jim Jordan is the last best hope for Republicans to retain the House majority and fulfill the Trump agenda: Jenny Beth Martin, Chairman of the Tea Party Patriots, L. Brent Bozell III, former Reagan Attorney General Ed Meese, Ken Cucinnelli of the Senate Conservatives Fund, Frank Gaffney, President, Center for Security Policy and Tim Wildmon, President, American Family Association were also among the more than 40 conservative leaders who signed on to the initial letter urging Jordan to run for Speaker. Amid all the griping about the House leadership, the biggest problem reformers have faced is the old adage, “You can’t beat somebody with nobody.” For years, nobody was willing to step forward and launch a serious and sustained campaign for speaker with a new platform to galvanize the base and win back swing voters. Jim Jordan has shown today that he is willing to lead where nobody else would. Moreover, he rightfully chose to do so before the election instead of waiting until it’s too late. Why risk losing the election over liberal ideas and have a fight over minority leaders, when we could actually promote an agenda we believe in and possibly salvage the election? Well, now we have somebody who will fight for the Trump agenda’s conservative ideas and policy solutions, so there is no reason House conservatives should cede the Speaker’s gavel and the possible loss of the House majority to California liberal Republican Kevin McCarthy. And by the way, Jim Jordan didn’t just announce, he came out fighting. (You can read his letter announcing his candidacy here). Rep. Jordan made clear in his announcement that if elected, he would return control of the House agenda to individual members and committee chairs. Between holding votes on issues Republicans campaign on and decentralizing power within the House, a Speaker Jordan would succeed where Speaker Ryan has failed. Far removed from the corrupt Washington establishment, Jim Jordan is a man committed to draining the Swamp. By the way, FreedomWorks has committed at least half a million dollars to a grassroots effort to support Jordan, and the Club for Growth has also endorsed him. America didn’t elect Donald Trump in 2016 to keep Washington the same, the President is delivering, but Congress is not – and that is what is imperiling the Republican majority in the midterm election. Congress still has time to correct its course, and Jim Jordan’s first priority is keeping a Republican majority in the House, and the best way keep the majority is by following through on campaign promises, such as building the Wall and repealing Obamacare, and changing Washington’s Swamp culture. Kevin McCarthy is not a conservative. He has supported budget-busting spending bills, massive increases in debt, and taxpayer funding for Obamacare, amnesty, and Planned Parenthood. McCarthy as speaker would be more of the same old tired approach of giving in to Democrats and failing to lead. The present House Republican leadership has failed. It is part of the problem. Jim Jordan is the solution. 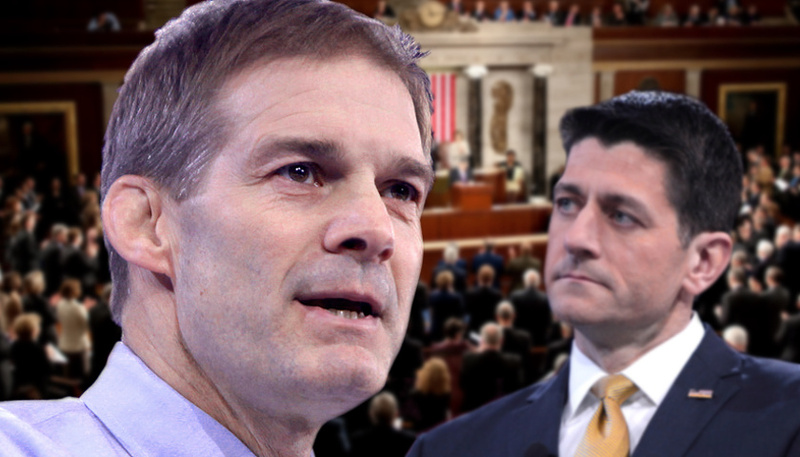 Click this link to add your name to the distinguished list of conservative leaders urging Jim Jordan to run for Speaker of the House. Tennessee Star Poll: Will Republicans Continue to Take Toxic Teachers’ Union Political Contributions? Want Jim Jordan Sixth District voters? You best not vote for John Rose and do what you can so your friends and family don’t either.